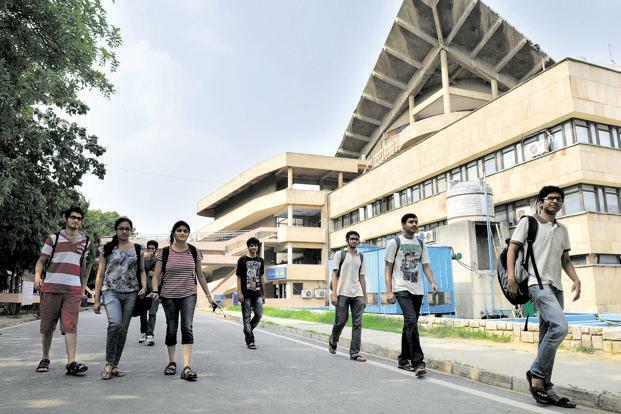 New Delhi: After nearly six decades of technology focus, the Indian Institute of Technology in Delhi (IIT-D) is set for a makeover – it will become a comprehensive multidisciplinary university. Medical science, bio medical studies, public policy, design thinking, sustainability studies, executive education and non-degree program will soon find a place at IIT Delhi as it shifts its focus to become more inclusive in its approach. The IIT announced its bigger plans Monday, days after it was awarded the institute of eminence (IoE) tag by the central government, and said that apart from a multi-disciplinary approach in education and research, it would be market-driven like IIMs to raise funds to fulfil its bigger makeover. “We will branch out and do more of what we have not done yet. The financial plan is ready — we shall raise around Rs.1500 crore from our R&D work for achieving the target,” said V. Ramgopal Rao, director of IIT-Delhi. By a conservative estimate, IIT-Delhi will be spending Rs 2500 crore including the Rs 1,000 crore IoE grant in enhancing its research facilities, physical infrastructure and outreach in the next five years, the IIT said. Rao said from 2019, its new public policy school will admit students at masters and doctorate level, its design school will admit at undergraduate and postgraduate level. It is starting doctorate courses with All India Institute of Medical Science in number of areas. Advance computational systems including artificial intelligence and block-chain, biological and health-care systems, energy and environment, smart and sustainable infrastructure and habitat will be its new focus for developing excellence, the director said. He said they are investing Rs. 200 crore for a bio-research park in IIT-Delhi’s upcoming satellite campus in Jhajjhar in Haryana, and AIIMS will be partner for that as well. Other than degree programs, the IIT said it will have short term courses like diplomas to cater to the need of the industry at large and such courses will be market driven and charged at market rates. For example, one year diploma in AI will cost around Rs.10 lakhs, more than three times the fee an IIT charges for its flagship four-year B-Tech courses. “Customised courses at post graduate and diploma level will have market rates and we know with industry hubs around Delhi NCR, the demands will be significant,” said Sanjeev Sanghi, dean alumni and international programs at IIT-D. The institute said, since they will be able to raise a lot of money from their internal resources including research, they will offer fellowships to attract foreign students to the campus and may offer enough salary to eager foreign professors to join IIT Delhi. The institute has told the human resource development ministry to be in the top 100 global universities up from 172 right now in the Quacquarelli Symonds (QS) World University rankings and in nine years they will be in top 50. Rao said, in 2017 despite their 172 position, they got zero marks in faculty-student ratio and international students. QS is an international ranking agency based in Britain. “We are making a structured effort to remove the shortcomings and you will see the difference gradually,” said M. Balakrishnan, deputy director IIT Delhi. Balakrishnan said to enhance foreign students presence, they will focus on certain catchment countries and tie up with top universities for joint post-graduate and doctorate courses. “In next few months, you will see joint programs with top universities of Singapore, Taiwan, Australia etc. As part of this, you will see foreign students coming and staying here. At PhD level, we are looking at 1000 foreign scholars at IIT-D campus in next five years,” Rao added.